Kindness is all about being of good to those that cross our path in life including people, animals, situations and the earth itself. When I think kindness I imagine showing care for the welfare of others as much as I care about myself without expecting anything in return. It is a way of copying what the universe does for us, providing air to breathe with nothing asked in return. As parents who know that if our children grow up with kindness as a core virtue in their life that they will benefit and so will all that cross their path. In fact, some have stated that kindness is the greatest method of self-defense known to man. What does it look like in our day to day life? Kindness at home embodies other virtues like helpfulness, caring, courtesy and responsibility. When we help each other with household chores, we are showing compassion. When we care for the needs of each other with courteous words, we honor the value of each person. Kindness at school or for adults at work the simple gestures of holding the door for others, inviting new students or workmates to eat lunch together or supporting each other on projects is showing kindness. Kindness in our community can be shown by helping out a neighbor, picking up trash or showing appreciation for animals by feeding birds in the winter. There are many simple ways of showing kindness in all aspects of our life. However, we find ourselves so busy and sometimes absorbed in our world, it is best for us to be purposeful about our practice. From a parents point of view, our purposefully speaking about kindness, role modeling kindness and inviting the participation in kind acts with our children will build in them the desire and practice of thinking kindness and looking for ways to help others. Am I doing or am I being kind? I simply cannot get this thought of kindness out of my head. We spent the month talking about “doing” acts of kindness, how we could show kindness to pets, siblings, parents, teachers – even to ourselves, in so many ways. 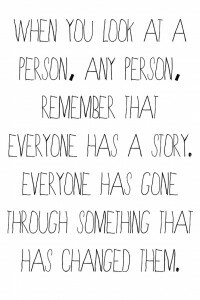 But the thought that keeps coming to me is, We would not have to talk about “doing” if we were just “being” kind. The question that keeps coming up to me is it possible that we use “doing” as a way of showing what we have produced, or how important we are, or how good we are. What about someone who is unable to “do” – due to physical limitations, restricted to a wheelchair or bed, paralyzed, maybe without speech? Could it be that more important than what others see us do, is what we give others in “who we are”, our “being”? What would happen if instead of trying to prove how kind we are by our “doing”, we were productive and effective by relaxing and allowed our kindness that is a part of each of us just “be”? How is this implemented? 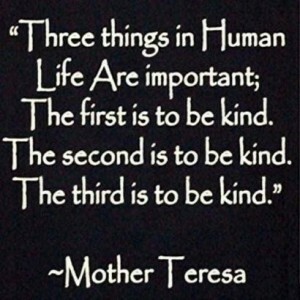 What is the difference of doing and being kind? 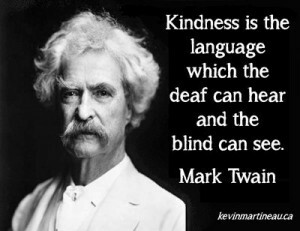 Anyone can do an act that is perceived as kindness. Being requires that we develop empathy and compassion. Being is understanding what someone is saying and not saying and getting them as a person. Being kind is about an awareness of our thoughts and actions and the affect that they have on others. Being kind is not just doing kind acts toward others but is truly about becoming that person on a very deep level. Has anyone else thought about the difference of being and doing or struggled with themselves, asking am I doing or am I being? This week we will celebrate the teachers of our students. 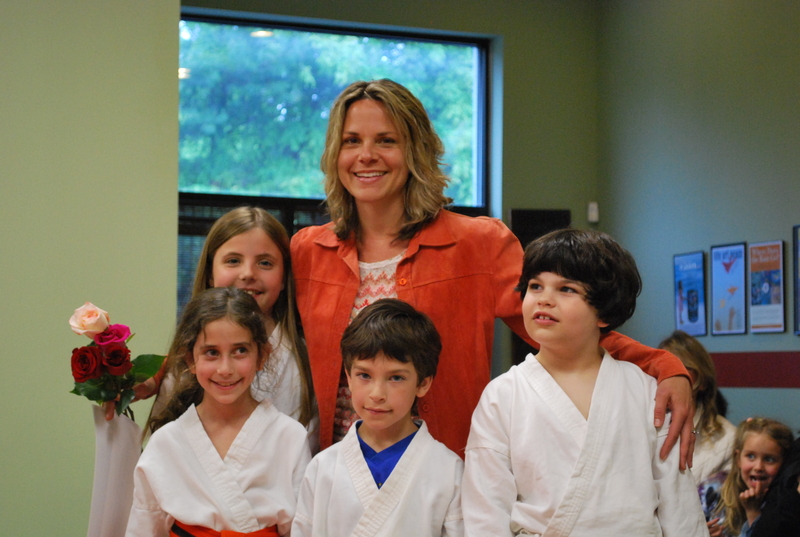 We are inviting all of the students to ask their teachers if they would like to visit Balanced Life Skills and see their students whom we share, practice their martial arts skills. I have a deep appreciation for all that teachers do for our students. They spend a great number of hours preparing lesson plans, looking at student work, answering parent questions – much of this is outside of the ‘normal’ working hours. Teachers have their own families and all the responsibilities that come with that job. 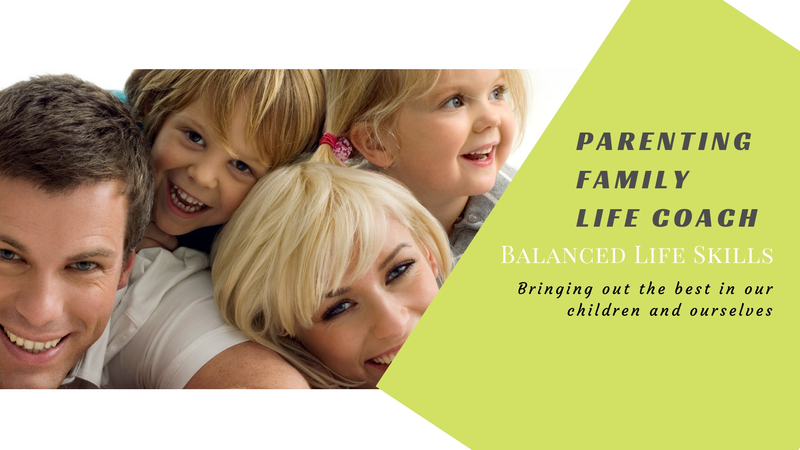 Sometimes it is easy to forget and we may even be surprised to see teachers as parents, with all of the same issues that we are struggling with in our own family. Teachers pull out of their own pocket money to provide for their students provisions that they do not have. On average a teacher spends between 600 and 800 per year and many spend much more than that. Teachers fill the role of educator, caretaker, coach, nurse, and so much more. They are like the mom at school for the hours your child is there. With all that they give they sometimes forget to replenish themselves with time for their own desires, spiritual strength, taking care of their own emotions and needs. Many times they will not ask for the help they need or want – as they continue to take on the role of super heroes. This week please celebrate your teachers. They are kind and giving. When they go home at night it does not end for them, as they continue to think about what and how they can make your experience even better tomorrow. I would ask each of us to remember your own teachers, and those of your children as people with great big hearts and a desire to share with others. How will you show kindness to your teachers this week? A critical part of kindness is putting ourselves in someone else’s shoes, an empathetic component. In the lives of children, it’s about asking them to imagine how they would feel in a variety of circumstances. If they were being left out how would they feel? If they were the teacher of a classroom and the students were being rude, how would they feel? If they fell down and the other kids started laughing, how would they feel? These questions will elicit a response that you can discuss with your children. Let’s use the first question as an example: If they were being left out how would they feel? Chances are pretty likely the answer will be something in the arena of sad or mad. With that information you can launch a discussion about how inclusion and kindness are always the key to happiness for all parties involved. Follow this up by posing the question, “So, if you see a child being left out what can you do?” Let your child lead the discussion and give supportive information as necessary. As children start to grasp the consequences of their actions or inaction, they will start to see how kindness is always the correct option. They will start to understand what it would feel like to be on the negative end of these situations and how a reaction of kindness can reverse the pattern bringing joy instead of sadness. Talk to your children about the people in their lives that show them kindness, ask them to come up with a list of kindness givers. 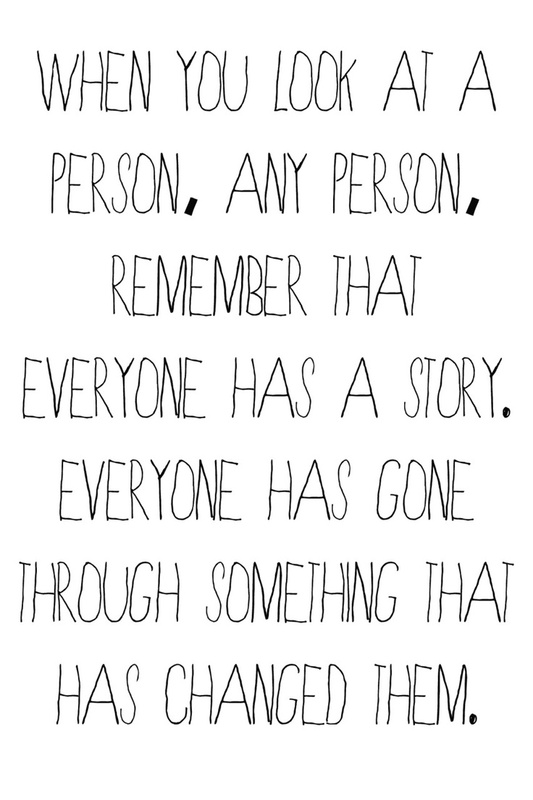 It may be eye-opening for them to realize all of the ways that people are kind. Ask your children how each of these acts of kindness impacted their lives. Through this discussion your children may truly take to heart all the kindness that has been showered on them. They may want to give thanks to those people, and isn’t that wonderful? Encourage that. Also, talk to them about how they too can be on someone else’s list of kindness givers. Let them take the lead and come up with ideas. Let your children, through empathetic reasoning, become the kindness givers they can certainly be. Do we really want to talk to our kids about being mean? The answer to this question is yes! In order to comprehensively teach children about kindness, they also have to grasp the concept of mean-spiritedness, its consequences and often-times its devastating results. Unfortunately all of us, including our children, have to deal with individuals that exhibit hurtful behavior. It is important for our children to understand that any type of mean behavior that they initiate either on their own or in a group setting can have a strong, negative impact on the recipient. They must grasp that this type of behavior is aggressive, may become bullying or even abuse – none of which is ever acceptable. 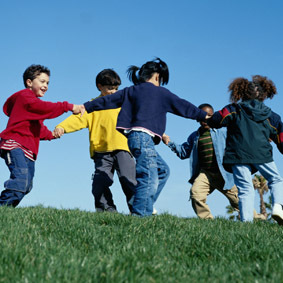 A group of children are playing and another child wants to join in, but the group will not allow the child to play, and they start laughing and making fun of the other child. A student is called on in class and doesn’t know the answer, and a bunch of kids start whispering and laughing. There is a child that is new to the class and is standing on the side of the playground with no one to play with. One of the boys in the class goes over to him and asks if he wants to play. A child is walking down the hallway and trips. One of the kids walking in the other direction helps him up. You’ll note that two mean-spirited and two kindness examples are listed. Following these examples, let your children come up with their own examples and the impact on the recipient, both positive and negative. Encourage a discussion of behavior they have seen and even behavior they themselves have exhibited. If they share instances where they exhibited mean behavior, keep an open mind and ask them what they can do differently next time. Always keep the conversation going in a positive manner about better choices. When it comes to kind or mean-spirited behavior there’s always a choice. Your children will have to make these choices every day. Through discussion you can help your children uncover the right actions on their own, where kindness is always the chosen option.